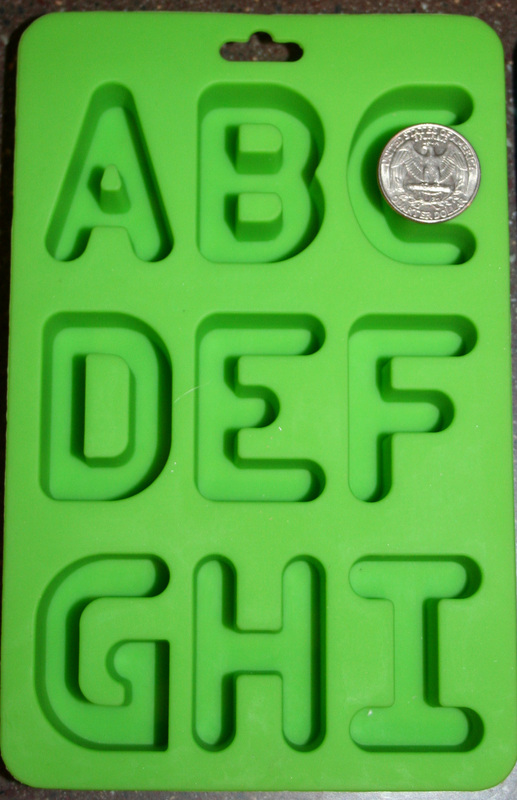 But I did find something that I thought would be fun to try…alphabet and number baking trays. 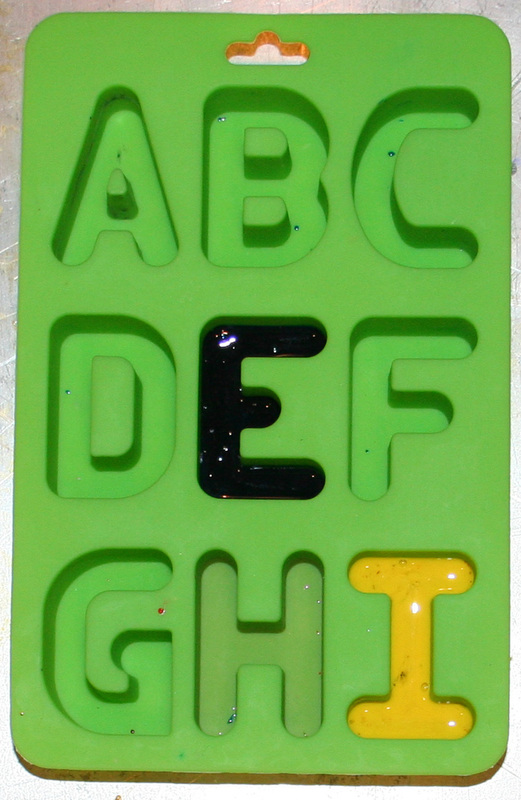 I figured it couldn’t be much harder than using a muffin tin(most letters weren’t), and it would be fun to spell things out with crayons. You can also use them(obviously) for baking or for making ice. So…what you’ll need is crayon bits and pieces, the alphabet baking trays, an oven and a freezer. Start by preheating your oven to about 300 degrees. If you want to expedite the cooling process once the crayons come out of the oven, you’ll need to clear out some room in the freezer. When I was looking at these online, I wasn’t sure of the actual size. Here’s a quarter for comparison. Then comes the hardest part to me…waiting. Once you take them out of the oven, put them into the freezer to harden them up some. Then take them out and let them finish cooling/hardening at room temperature. If you try to pop them out fresh from the freezer they will be too brittle and they will break. It may take a little time and patience, but see how fun these look in the end??? ?